The primary concern for businesses and governments today is how to better understand and harness big data, the internet of things, exponentially rising computing power and speed, memory capacity and intelligent algorithms. For those working in international development, the motivation is to apply the promise and potential of AI towards solving some of the world’s most challenging economic, social and environmental issues. Artificial intelligence is not one specific technology, but rather a broad spectrum of computer systems and applications that have the ability to perform tasks associated with human intelligence. With its unparalleled capacity to mine and parse vast amounts of data in record time; precision in identifying and collecting information even from locations and market segments where data is scarcely available; and its predictive and responsive power, AI technology stands to progress development and humanitarian efforts at a rate never witnessed before. 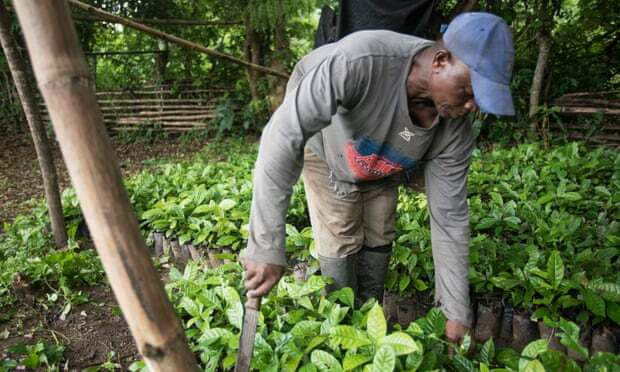 US-based aWhere and Swedish Ignitia, both members of the UN’s Business Call to Action (BCtA) platform, are already using predictive AI, proprietary algorithms and advanced analytics to deliver agricultural intelligence and ultra-accurate weather forecasts to smallholder farmers in Africa and Asia. Initially a research project to improve accuracy of weather predictions, Ignitia pioneered a tropical weather forecasting model, and the organisation say that has proven to be 84% accurate, more than twice as accurate as global forecasts. Today, 329,000 small-scale farmers in west Africa rely on it for GPS-specific weather forecasts to make better and quicker decisions regarding sowing and planting, application of fertilisers, and harvesting. All the farmers need is a standard phone – Ignitia takes satellite data, runs it through the AI model and sends out tailored text message forecasts. According to Ignitia, an independent study carried out by University of California Berkeley in 2017 found that harvests increased by 65% on average after just one season with Iska (Ignitia’s flagship service), and resulted in farmers earning up to $480 (£346) more from their crops. Considering it only comes to 2% of total input costs, farmers are already seeing the benefits. Global predictions for AI in agriculture suggest it will be worth more than $2.6bn by 2025. Increased investments are propelling the development and commercial deployment of technologies, from yield prediction algorithms to drone irrigation and discovery of next-generation proteins in biotechnology. Uruguayan agtech startup Chipsafer produces wearable technology that tracks livestock activity in near real-time, detects anomalies in cattle behaviour and helps isolate disease outbreaks. Individual animals are fitted with solar powered collars or tags that collect, process, and transmit data to Chipsafer’s analytical centres, allowing ranchers from Brazil to Australia to improve herd production, prevent cattle theft and contain the outbreak of diseases before they spread. These solutions are already available for many large-scale commercial farmers, and companies such as BCtA members in the agricultural sector are working to make them accessible for the world’s 2.5 billion smallholder growers and their families. It is the owners of the smallest plots who stand to benefit the most from the democratisation and broad uptake of AI solutions as their first line of defense against challenges such as climate change, a growing population and food security. Ultimately, AI could be a game changer in eliminating hunger, reducing poverty and achieving responsible consumption and production. Some experts might say it could still be decades before machine intelligence becomes ubiquitous or is hailed as either boon or bane of human existence. It is up to the current generation to shape the commercial, ethical and regulatory context in which the technology develops, to serve rather than harm humankind. One thing is clear – the old systems are falling short in the face of the daunting challenges of today, and we only have the future to look to for solutions.